On Friday, Carter exceeded by one day the lifespan of former President George H.W. Bush. Friday was the 172nd day beyond Carter’s 94th birthday, exceeding by one day the lifespan of former President George H.W. Bush, who died Nov. 30 at the age of 94 years, 171 days. Both men were born in 1924: Bush on June 12, Carter on Oct. 1. Two current presidential candidates, Sens. Cory Booker of New Jersey and Amy Klobuchar of Minnesota, have ventured to Plains to meet with the Carters. 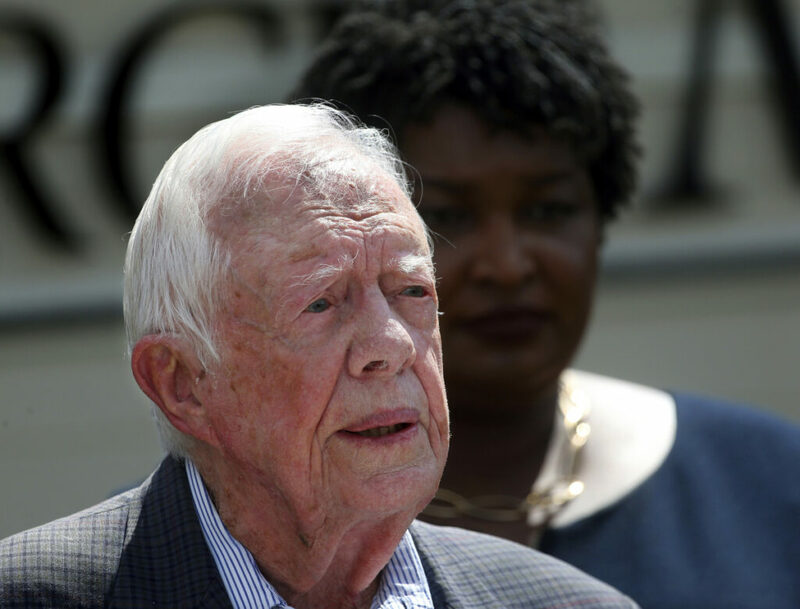 The former president has hosted Bernie Sanders, a 2016 and 2020 presidential candidate, for a panel at The Carter Center – and Carter told the audience that he voted for Sanders over Hillary Clinton in the 2016 Democratic primary. He hosted and endorsed Georgia Democrat Stacey Abrams in her unsuccessful bid for Georgia governor last year.